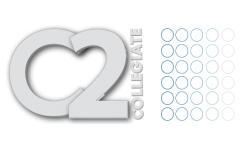 Welcome back to the blog for Collegiate Communities! Today, we’re featuring a few tips to help you get a better night’s sleep. A good night’s sleep can make all the difference during the work day and can help reinvigorate you during a stressful week. We hope that you trying out these tips helps to improve your sleep quality this month in your West Lafayette, IN apartment. An easy way to improve your sleep is to wake up at the same time every day. Help Guide writes that sleeping on a schedule “helps set your body’s internal clock and optimize the quality of your sleep.” Naps, according to the Help Guide, can be used to make up for sleep throughout the day. Your naps should not be longer than twenty minutes. Get rid of distracting light. Use heavy curtains and blinds to keep the light out of your apartment. Turn off your electronics, lower the lights before bedtime, and make the room as dark as possible. But still, your room shouldn’t just be dark — it should be comfortable. The National Sleep Foundation recommends keeping your room between sixty and sixty-seven degrees for the best night’s sleep. The Mayo Clinic writes that stress can damage a night’s sleep. Manage your stress by eating healthier, unburdening your mind in a journal (or with another resource like a therapist or a friend), and setting a schedule for your daily tasks. You will be amazed at the difference less stress can make when you are trying to get to sleep and stay asleep at night. Make sure that your bed is a place of rest and relaxation. Reserve your bed for sleeping only. Don’t check your phone, your email, write, read, or watch TV while you are in bed. By reserving your bed as a sleeping space, you will find it easier to fall asleep at night and minimize distractions. Do you have any sleep tips for us? Leave them in the comments. Thanks for reading our post!